Check out this STEAL of a deal! 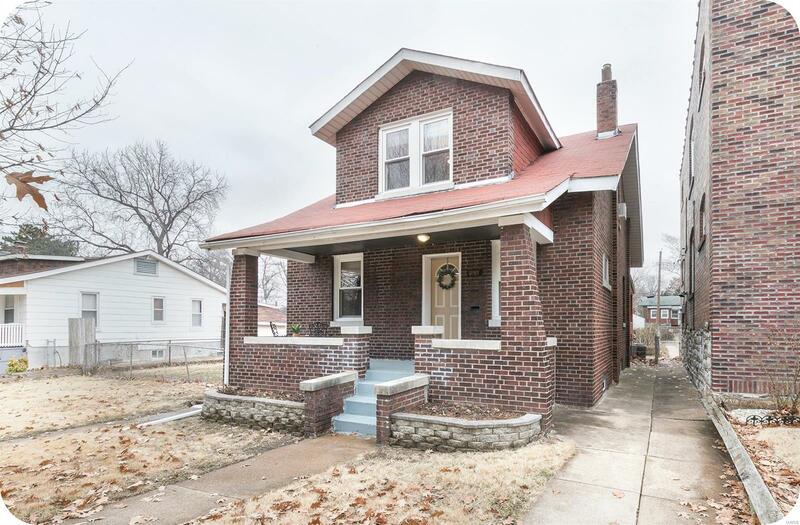 Priced to move, this brick bungalow loaded with charm and utility is sure to please! On the main level, an ample sized living and dining room boast beautiful flooring. Updated full bathroom nestles next to a family room or what could be used as a bedroom as well. There is plenty of both cabinet and preparation space in the quaint kitchen. Upstairs, the master bedroom has both an attached 1/2 bath (YES!) and a very generous-sized closet. Round out the 2nd floor with another bedroom and loads of closet space. But where this house really shines is in outdoor living spaces. Exit the kitchen onto a stunning covered deck perfect for summer BBQ's, a DOUBLE lot for the fur babies to run and we're not done yet folks. We got a 1 car garage and FOUR yes FOUR car parking pad. So for the families that own lots of vehicles or maybe you just like to entertain, there is no shortage of parking here. Come see this beauty before it's gone!